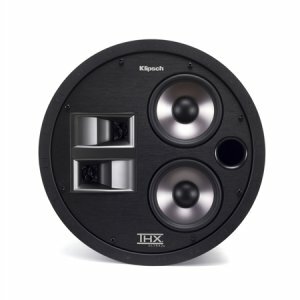 Klipsch THX-5002-S IN-CEILING SPEAKER(each) Klipsch THX-5002-S IN-CEILING SPEAKER(each) - - It's Free! : New Audio & Video, New Electronics at Lowest Prices! So stunningly detailed and immersive, the THX-5002-S in-ceiling surround speaker brings a whole new dimension of reality to home theater. Perhaps that's why it's the first of its kind to receive the highly respected Ultra2 certification from THX.